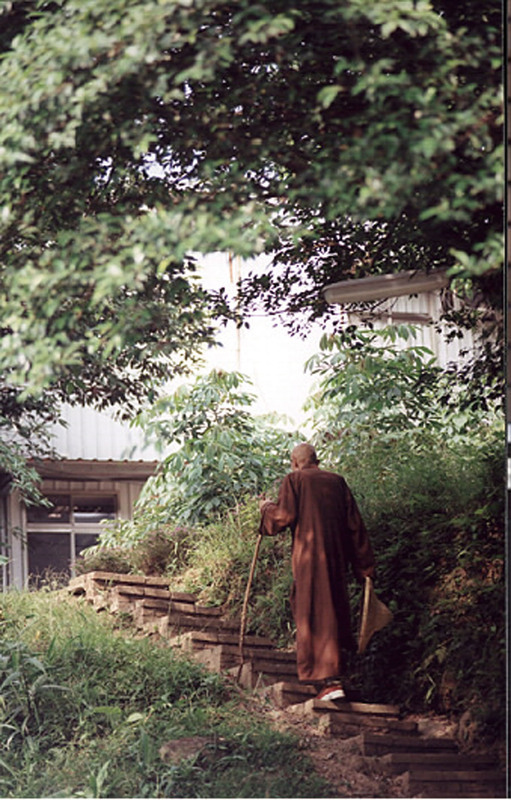 Describing himself once as “an itinerant monk pressing ahead through wind and snow” (風雪中的行腳僧) and regarded as one of the fifty most influential people in Taiwan during the past four hundred years, Venerable Master Sheng Yen (聖嚴法師) has had a life full of miseries, deprivations, trials, and turning points. Born into poverty in 1930 in a village near Shanghai, Master Sheng Yen lived through floods, droughts and years of war in his childhood. But in spite of these trying circumstances, he revealed his unique character at an early age. After becoming a monk at age 13, he went through years of having to perform funeral rituals day and night for a living. In the midst of the defeat of the nationalists in the civil war with the communists, he eventually enlisted in a unit of the Nationalist army as the only way to flee to Taiwan and escape the religious persecutions to come. 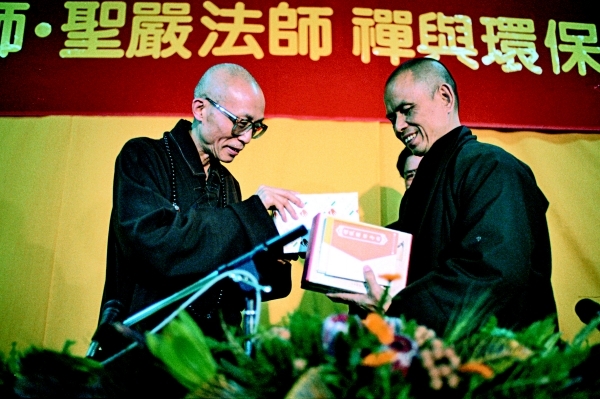 Having arrived in Taiwan, he subsequently reordained under Venerable master Dongchu (東初法師) of the Caodong school of Zen (Chán 禪 in Chinese). Ever since, whether on solitary retreat (閉關), pursuing a doctoral degree in Buddhist literature in Japan, spreading the Dharma in America, or founding Dharma Drum Mountain (法鼓山), he was always able to find a way forward when there seemed to be no way out. To raise the status of Buddhism in Taiwan and improve the quality of buddhist education and monasticism, Master Sheng Yen went to study in Japan at age forty. After obtaining a doctorate, he began to teach in both the United States and Taiwan. As a Dharma heir (法嗣) to both the Linji (臨濟) and Caodong (曹洞) lineages, he traveled around the world to teach Chan practice, ushering numerous people both Eastern and Western into the world of Chan. Regarded as a masterful pedagog, he spoke in ways that modern-day people could relate to, publishing over one hundred books in both Chinese and English. With the hope of encouraging both the practice and scholarly study of buddhist thought, the Master established in 1985 the Chung-Hwa Institute of Buddhist Studies (中華佛學研究所) which would later lead to the establishing of Dharma Drum Buddhist College (法鼓佛教學院). 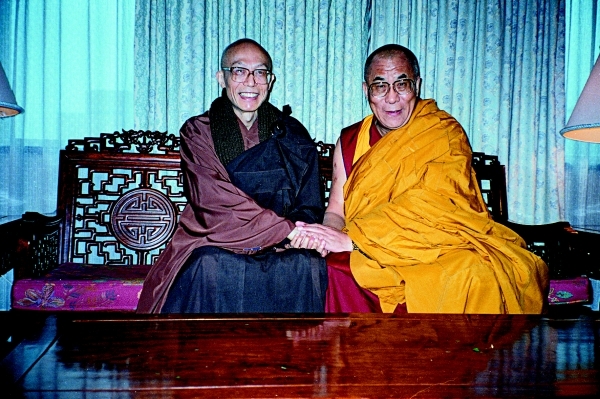 Later in his life, he also took part in exchanges with leading figures in the fields of technology, art, and culture, and engaged in dialogue with many spiritual leaders from other Buddhist and non-buddhist religious traditions. His expansive mind and international outlook have earned him recognition from people in various fields both at home and abroad. Having witnessed in his early years the dire state in which Chinese Buddhism had been left following the dramatic social and political upheaval suffered in China throughout much of the 19th and 20th century, Master Sheng Yen sought to contribute to the revival of this vast and ancient tradition, chiefly through an emphasis on a practice relevant to the needs of modern society and a life-long engagement for the promotion of Buddhist education.